It is first important to distinguish between the applicable law to a legal matter and the jurisdictional competence of a Quebec authority in adjudicating a legal matter. The applicable law is the law which governs a legal matter while the competent authority is the appropriate forum to adjudicate said legal matter. Can a Quebec court have jurisdiction over an international succession? 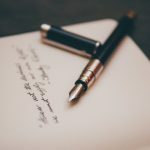 Quebec’s court may have jurisdiction over a succession with a foreign element if there is a sufficient connection between the succession and the jurisdiction of Quebec. The rules relative to the international competence of Quebec’s court are found at Art. 3134-3154 of the CCQ and establish which conditions must be fulfilled for a Quebec authority to declare itself competent with respect to a legal matter which contains a foreign element, such as an international succession. The first set of rules concerns the necessary connection between the defendant and/or legal matter and the place of the forum to determine its competency to hear the matter. The other set of rules seeks to modulate the effects of these rules pertaining to the connection which permits a Quebec authority to seize the dispute to which otherwise they would not have competence over, or the opposite, to refuse to hear certain disputes to which they have jurisdiction. Nothing excludes the possibility for many courts to have jurisdictional competence over a legal matter. Therefore, a Quebec court seized with a legal matter will only verify whether it has itself the competence to seize the matter in question, without consideration as to whether another tribunal could have jurisdiction. In the same context, a Quebec court called upon to recognize and enforce a foreign judgement in Quebec does not ask itself whether another court could have heard the matter, but only ask whether the foreign court had competence in accordance to the criteria of jurisdictional competence found within the CCQ. When the competence of a Quebec authority is being challenged, usually through a means of declinatory exception, it will be up to the party claiming that the tribunal is competent to demonstrate its validity. It must be noted that once the competence of Quebec’s court has been established in accordance to Book X of the CCQ, the court will have the power to render any orders deemed necessary to the exercise of that competence, including the possibility to grant extra-territorial injunctions. In order to adjudicate a legal matter, or a portion thereof, in front of a Quebec authority, there needs to be a significant connection between the legal matter in question and the jurisdiction of Quebec. Depending on the nature of the legal matter, certain connecting factors could pertain to either the parties (through their domicile, residency, physical presence, choice of forum), or with the object of the legal matter (the place where the events originating the dispute occurred, the place where the juridical act was composed or must be executed and the location of the property in question). When the deceased chose Quebec law to regulate the succession. The opening of a succession in Quebec constitutes the main connecting factor to a Quebec authority. According to Art. 613 CCQ, a succession will open by the death of a person, at the place of his last domicile. 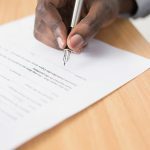 Quebec’s authorities will therefore always have competence to pronounce themselves in the event of a succession to which the deceased was last domiciled in Quebec, and this even with respect to property situated abroad. Jane was last domiciled in Quebec before passing away in Germany. Although Jane passed away in Germany, her succession opened in Quebec as this is the place of her last domicile as per Art. 613CCQ. A Quebec court will therefore be competent in hearing the matter. The second scenario occurs in contentious matters and grants competence to a Quebec authority when one or many defendants have their domicile in Quebec. In practice, a Quebec authority will have competence in an international succession if one of the heirs, legatees, or even a creditor of the deceased is domiciled in Quebec. This competence however could be limited by the presence of a narrow link with Quebec’s jurisdiction. In fact, it is possible to demand a Quebec authority to decline jurisdiction in favor of a foreign jurisdiction in a better position to adjudicate the dispute. John was last domiciled in France before passing away. His successors and creditors were all domiciled in Quebec. Although the succession opened in France according to Quebec law of succession, an heir or creditor of the succession may initiate legal proceedings in Quebec as they are domiciled in Quebec. The third scenario pertains to the explicit choice of Quebec’s law by the testator to govern his succession. 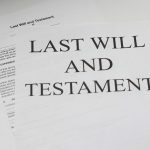 This choice however, is not unfettered and is limited to the law of the domicile or nationality of the testator at the time of death, or at the moment which the will was composed. Also take note that the explicit choice of law by the testator may be limited if it deprives certain heirs of protection which would otherwise be afforded to them absent the choice of law in favor of Quebec’s law, such as hereditary reserves and mandatory percentages to be allocated to the immediate family. Jane was born in Montreal, and retained her Canadian citizenship, but had established her domicile in France before passing away. In her will, she elected Quebec law to govern her succession. A Quebec court will therefore be competent to rule on matters related to Jane’s succession. Decisions taken by a Quebec authority which lacks competence may be declared ultra vires, and be invalidated on appeal, or fail to be recognized and enforced in a foreign jurisdiction. A number of provisions contained within the CCQ seek to modulate the competence of a Quebec authority in hearing a dispute, either by accepting to exercise their adjudicative function absent jurisdictional competence ab initio, or the opposite, refusing to hear a dispute to which a Quebec has competence in favor of another jurisdiction. In certain circumstances, a Quebec authority may be permitted to hear a dispute even if it has no jurisdiction to render a decision based on the merits of the dispute according to Art. 3153 CCQ. Take note that a judgement rendered by a Quebec authority according to the ensuing CCQ articles may need to be recognized and enforced in a foreign jurisdiction in order to be effective. However, a decision rendered by a Quebec court following the ensuing provisions may fail to be recognized and enforced abroad if the absence of competence is retained by the foreign court. In this sense, the following recourses may only be useful if they can be enforced in Quebec. Even though a Quebec authority has no jurisdiction to hear a dispute, it may nevertheless hear it provided the dispute has a sufficient connection with Quebec, if proceedings abroad prove impossible or the institution of proceedings abroad cannot reasonably be required. This rule seeks to establish the competence of a Quebec authority in cases where initiating legal proceedings abroad would prove impossible or unreasonably burdensome. However, there must be a sufficient connection between the dispute and the jurisdiction of Quebec in order to successfully invoke this provision. The mere accommodation of a person does not justify the invocation of this provision. It must be nearly impossible to initiate proceedings abroad. In cases of emergency or serious inconvenience, Quebec authorities may also take such measures as they consider necessary for the protection of a person present in Quebec or of the person’s property if it is situated there. This provision applies exclusively in situations of emergency or serious inconveniences for the sole purpose of protecting either a person or property situated in Quebec. A Quebec authority may order provisional or conservatory measures even if it has no jurisdiction over the merits of the dispute. It is possible to seek injunctions and safeguard measures with extra-territorial reach. However, if the effect of the provisional measure steps outside the bound of Quebec’s jurisdiction, the recognition and enforcement of the Quebec judgement will be necessary in that foreign jurisdiction. An otherwise competent Quebec court may use their discretion to decline jurisdiction in certain circumstances. Even though a Quebec authority has jurisdiction to hear a dispute, it may, exceptionally and on an application by a party, decline jurisdiction if it considers that the authorities of another State are in a better position to decide the dispute as per Art. 3135 CCQ. The eventual necessity to recognize and execute the judgement in that other jurisdiction. A competent Quebec authority may stay its ruling on an action brought before it if another action, between the same parties, based on the same facts, and having the same subject is pending before a foreign authority, provided that the latter action can result in a decision which may be recognized in Quebec, or if such a decision has already been rendered by a foreign authority as per Art. 3137 CCQ. It is therefore possible for a Quebec authority to decline jurisdiction when another action has been initiated abroad in order to avoid a multiplicity of proceedings and conflicting judgements. If the Quebec’s authority is seized with the matter first, it will not decline jurisdiction. Moreover, a Quebec authority will only decline jurisdiction if the foreign judgement is susceptible of recognition and enforcement in Quebec. Patrick Ferland & Guillaume Laganière, “Les conflits de juridiction” (2017) vol. 7, Contrats, sûretés et publicité des droits, Collection de droit 2017-2018 École du Barreau du Québec, EYB2017CDD275 at p. 3. Google inc. v. Equustek Solutions Inc. 2017 SCC 34. Ferland, Supra note 2 at p. 6. Civil Code of Quebec(CCQ), CQLR c CCQ-1991 at Art. 3153. Édith Vézina, “Les Successions en Droit International Privé” (2010) vol 112:3, Revue du notariat at p. 396. Ibid at Art. 3153 al. 2. Vézina, Supra note 7 at p. 398. Zoungrana c.Air Algérie, 2016 QCCS 2311. Ortega Figueroa c. Jenckel, 2015 QCCA 1393. Ferland, Supra note 2 at p.22. Vézina, Supra note 7 at p. 399.